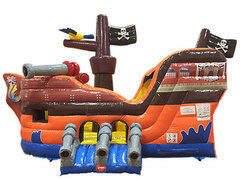 U Bounce Inc. has a great selection of bright and colorful, toddler-friendly Inflatables, for the youngest in mind. When planning your school festival, religious celebration or community event, sometimes it's easy to overlook the smallest of your guests. It's always a great idea to have toddler specific units available for the smallest of your guests enjoyment, separate from the big kids. Safety bumpers and other special features keep small players safe while still having a great time in complete view of watchful parents. Ensure your little guests enjoy safe play at your next event. Browse the selections below and click on the image or "More Info" link to get additional information and to make a reservation. Add a Obstacle Course and Interactive Games such as Bullseye Archery Game, Gladiator Joust, to name a few, and keep the older crowd entertained also! 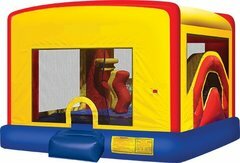 A unique selection of large commerical grade Toddler Inflatable rentals, including toddler bounce houses, toddler slides and toddler combos. Toddler Combos have bouncing areas, slides and other obstacles all in one inflatable! 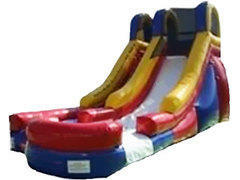 Clean, sanitized and well maintained toddler inflatables delivered to your party or event. All our inflatables and equipment are cleaned and sanitized after every rental to ensure a safe environment for all our customers. Not only are they cleaned once, but you will see the U Bounce Inc. team cleaning each bounce house again before you use it. We take pride in delivering only the best toddler inflatable rentals on time, every time. We guarantee it! 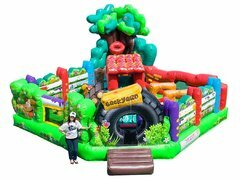 U Bounce Inc. Inflatables & Party Rentals delivers toddler inflatable rentals to your event in Harrodsburg, Danville, Lawrenceburg, Lexington, Frankfort, Nicholasville, Lancaster, Stanford, Versailles, Richmond and throughout the Central Kentucky area. Don't see your area here? Give us a call!